A long time ago, I did a set of kitchen prints that sold through Country Living Magazine, and I'm still getting letters about them. 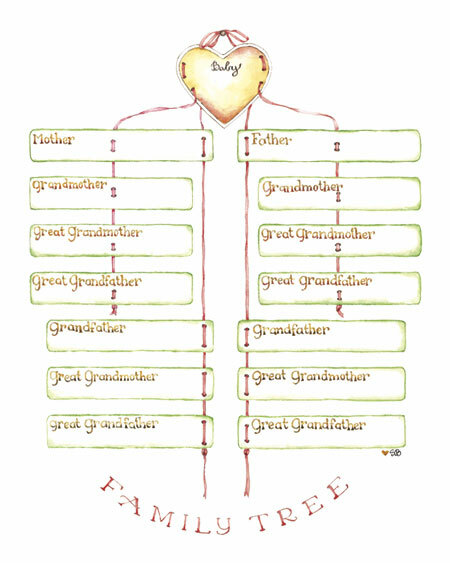 So we thought it was time to release some more, this one is to help document baby's family tree. Printed on acid and lignon-free cardstock. Prints are 8x10.